LISA Wilkinson's husband has hit out at the Today show on Twitter after the Channel 9 breakfast show suffered its worst ratings in four years. In response to a tweet about the Today show's woeful ratings of late, Wilkinson's husband Peter FitzSimons tweeted: "Something will have to break. It cannot go on, in the current form past Chrissie, surely". FitzSimons, who is a former Wallabies player and respected journalist, also claimed Today's ratings haven't been as bad in a decade. "I have followed the numbers closely. Today would not have been this low for at least ten years," he wrote in a tweet which has since been deleted. Wilkinson sensationally quit Today in October last year and signed with Channel 10 reportedly because Channel 9 bosses wouldn't pay her the same as Karl Stefanovic. Today has been dominated by Channel 7's Sunrise this year with Kochie and Sam winning the ratings battle for 22 out of the 23 survey weeks this year. According to media analyst Steve Allen, the tension between Karl Stefanovic and Georgie Gardner might be putting viewers off the Channel 9 show. "Anytime the public sense that there's not cohesion and there's some kind of tension between on-air hosts, I think it's going to have a negative effect and lose viewers," Mr Allen told news.com.au. "If they were having a spat over a number of key subjects that were in the public forum and they were humorous about it, that might engender viewership. But tensions that the public don't really understand or can't get any great insights into or aren't included in, that unquestionably would lead to less viewers, not more." Today filming at Surfers Paradise with Queensland Premier Annastacia Palaszczuk. But surprisingly, Mr Allen said that Channel 9 wouldn't be too concerned by Today's disappointing ratings in 2018. "Basically Sunrise has been ahead for a decade or more," he said. "Sunrise seems to have edged further ahead this year to date and unquestionably will win the year on any basis you'd like to judge it, but I don't think it's of great concern to Nine." 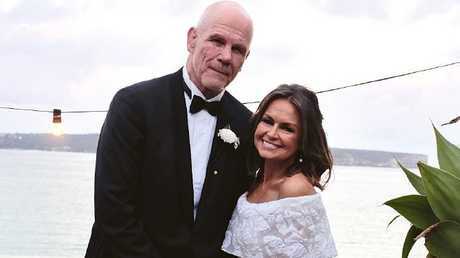 The Today show has had a difficult 11 months since Lisa Wilkinson's stunning defection to Channel 10. Georgie Gardner replaced Wilkinson despite rumours she didn't have the best relationship with Stefanovic. Their relationship worsened when Stefanovic reportedly trashed his co-host during a private phone call that was recorded by an Uber driver. It's claimed that Stefanovic said to his brother, Pete, during the call that if Gardner "wanted to stay on the show", she needed to "step up". He also reportedly called Gardner "a wishy-washy fence-sitter who likes to play it safe". The Today co-hosts were grilled about the tension between them during an interview with the Hit Network's Hughesy and Kate in June. Stefanovic also touched on his Ubergate scandal during the radio interview and said: "Georgie was so incredibly good about that … I thought she was going to hit me." Gardner said she first learned about Ubergate when she read a vague story in the paper about a potential "war at breakfast". "I remember thinking to myself, 'Gee, I wonder who that is?' And then it became apparent it was us," she said. When Dave Hughes suggested that Gardner "got off all right" in terms of what was said about her in the private phone call, Stefanovic awkwardly joked, "It could have been a lot worse."